Una nueva técnica revela que los fósiles tienen 750.000 años. Sería casi contemporáneo del 'Homo antecessor' de Atapuerca. El 'Hombre de Pekín' ('Homo erectus pekinensis') es 200.000 años más viejo de lo que se pensaba hasta ahora. Unas nuevas técnicas de datación de los sedimentos que rodeaban los fósiles y utensilios de piedra han determinado que los restos de esta especie, encontrada en los años 30 al norte de China, son de hace unos 750.000 años. El nuevo estudio, publicado en 'Nature', ha sido realizado por un equipo de investigadores, del que forman parten el chino Guanjun Shen y por Darryl E. Granger, de la Universidad de Purdue (Indiana). Han utilizado para ello una técnica que se basa en núclidos cosmogénicos. 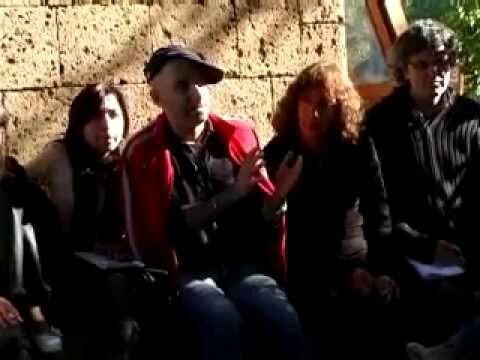 José María Parés, del Centro Nacional de Evolución Humana (CENIEH) recuerda que es el mismo método utilizado en la Sima del Elefante en Atapuerca para datar fósiles de hace 1,3 millones de años. Consiste en medir la degradación de los isótopos de aluminio y berilio en granos de cuarzo. Los isótopos se desarrollan por la acción de rayos cosmogénicos y, al ser enterrados, se van desintegrando de forma natural a lo largo de miles de años. "Este método permite hacer dataciones de hasta cinco millones de años", explica el experto. En este caso, los científicos utilizaron seis muestras de sedimentos que rodeaban a los niveles donde fueron hallados los fósiles y cuatro utensilios líticos. Los resultados apuntaban hacia los 770.000 años, lo que era coherente con dataciones obtenidas con otras técnicas menos novedosas. José María Bermúdez de Castro, director del CENIEH, recuerda que muchos expertos pensaban que las dataciones previas no eran correctas:"En 2005, ya dijimos que había similitudes entre la mandíbula de Homo antecessor de la Gran Dolina [Atapuerca] y las de Zhoukoudian. Ahora parece que ambos yacimientos son casi contemporáneos, lo que parece sugerir que podrían tener un parentesco cercano pese a la distancia entre Burgos y Pekín", señala. Foto: Recreación del cráneo de 'Homo erectus pekinensis'. / WIKIMEDIA COMMONS. La historia del 'Hombre de Pekín' está marcada por la leyenda. Los primeros dientes los encontró un científico sueco en un mercado de Zhoukoudian, cuando trataban de vendérselos como dientes de dragón. Corría el año 1921 y hasta 1937 se excavó en el yacimiento a pico y pala, provocando un destrozo que hacía difícil sacar más información. Cuando se publicó en 'Nature', la especie se presentó como el 'eslabón perdido' que justificaba la teoría de la evolución de Darwin. En total, se desenterraron fósiles de más de 40 individuos. Con la ocupación de Pekín, durante la II Guerra Mundial, los hallazgos se enviaron a Estados Unidos para protegerlos de la invasión japonesa, pero nunca llegaron a su destino. Unos creen que se hundieron en el Pacífico, otros que se los quedó un grupo de marines. Todo ello ha dificultado el estudio del 'Homo erectus pekinensis', si bien se sabe que su capacidad craneal era un 80% la del 'Homo sapiens'. El nuevo estudio demuestra ahora que los homínidos habitaron en Asia durante los períodos glaciares e interglaciares, soportando las extremas temperaturas de la época. No obstante, éstos no son los restos más antiguos encontrados en Asia. En todo caso, para el paleontólogo Manuel Domínguez Rodrigo, de la Universidad Complutense de Madrid, la nueva datación «no supone ningún descubrimiento revolucionario» en relación con la evolución humana. By Andrea Thompson, © 2009 LiveScience.com. All rights reserved. The famous fossils of an early relative of modern humans commonly called Peking Man may be 200,000 years older than previously thought, a new study finds. The revised date could change the timeline and number of migrations of the Homo erectus species out of Africa and into Asia. It also suggests that Peking Man endured glacial climates. Previous studies estimated that H. erectus fossils found nearly a century ago in China were from about 500,000 years ago. The authors of the new study sought to re-date the fossils using a relatively new method that looks at the radioactive decay of aluminum and beryllium in quartz exposed to cosmic radiation. With this method, they pinned the date closer to 780,000 years ago. Understanding the history of H. erectus is of interest to scientists because the populations of the species that lived in Africa are "implicated in the ancestry of modern humans," said paleoanthropologist Russell L. Ciochon of the University of Iowa in Iowa City, who was not involved in the new study. H. erectus was a type of hominin, the group to which early and modern humans belong. H. erectus walked upright, had a thick skull with a brain a little smaller than our own and used stone tools. The first fossils of the species were found on Java, Indonesia, in 1892 by Eugène Dubois. Nearly 30 years later, more H. erectus fossils were found thousands of miles away during excavations of the Zhoukoudian cave system just outside of Beijing. These caves turned out to be "one of the most important Paleolithic sites in the world," the authors of the new study wrote. After the first fossil was found, anthropologists eventually turned up skulls and bones representing at least 40 H. erectus individuals, other mammal fossils and tens of thousands of stone artifacts. The latest research on the fossils, funded by the National Natural Science Foundation of China and the Wenner-Gren Foundation, is detailed in the March 12 issue of the journal Nature. Guanjun Shen at Nanjing Normal University, China, headed up the study. Pushing back the date of the Zhoukoudian fossils puts them in closer range to fossils found in open basins and plains around the cave system that were originally dated to be much older than the Zhoukoudian fossils. It also shows that H. erectus lived in the area during glacial periods as well as during interglacial periods. Many scientists thought that the species moved north with the interglacials and south with the glacials, Ciochon said. However, this new date shows they hung around during colder periods. These glacial cycles didn't involve mounds of snow and ice as one might think, rather it was "just a colder, drier period," Ciochon told LiveScience. The new date also sheds some light on how and when H. erectus got to the area in the first place. The Homo genus, which includes modern humans, originated in Africa with Homo habilis about 2.5 million years ago. H. erectus likely derived from some early version of H. habilis around 2 million years ago, anthropologists think. Some portion of the H. erectus population later left Africa and spread out across the Old World (the population left behind in Africa likely led to Homo heidelbergensis, from which the first early Homo sapiens likely derived, Ciochon said). Other sites of H. erectus bones show that the migration had reached Dmanisi, Georgia (in Asia), by about 1.75 million years ago and Java by about 1.6 million years ago. "It's a species that had legs," Ciochon said, referring to the distances traveled. "Aside from Homo sapiens, it's the most widespread hominin species." Some scientists had proposed that the Java population later migrated up to present-day China, but Ciochon said that the new date for the Zhoukoudian fossils lends credence to the idea that there could have been more than one migration route. "Maybe there could have been two dispersals," he said. One route could have extended along the coast of Asia to Java, and another through the interior of Eurasia to Zhoukoudian and the surrounding areas. Also supporting the double-migration idea is the fact that the Himalayas and a huge swath of primal forest unfriendly to hominin habitation lie in the way of a direct migration from Java to China. Cinching this argument would likely require finding more sites with H. erectus fossils along the migration route, Ciochon said.